The Slo-Motion Compliance speed hump is rated to maximum 20 tonnes load per axle compared to the Rubber being only max. 5 tonnes. 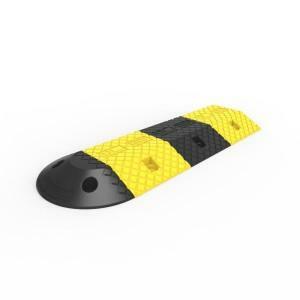 The Rubber speed hump is mainly suitable for low traffic and short term installs. They would need to be installed into a good quality surface. Install a concrete footing and use the standard fixings we supply. 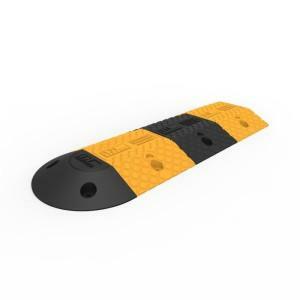 Purchase our Rubber Wheel Stop Spikes. This is a gravel spike which is 12x300mm.